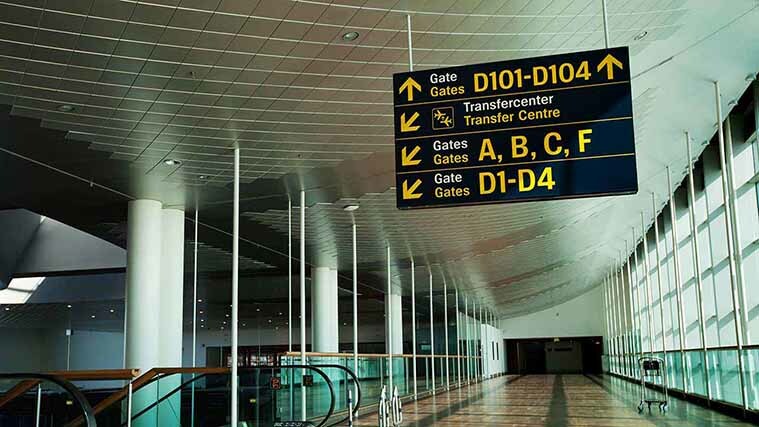 While promoting your brand and creating outdoor branding, do not forget about Lobby Signs. 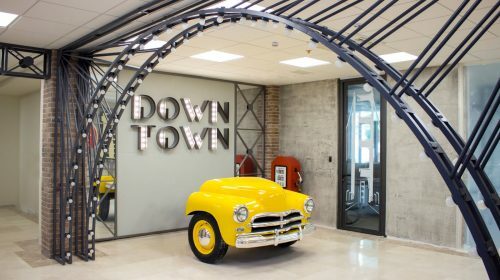 Your lobby setup needs to identify the tone of a successful company, inspire confidence in your clients and create an avant-garde niche company feel. The lobby signage is specifically designed for the clients to be at ease and put trust with your business. Leave a good first impression on customers upon entering your lobby or office. Business lobby signs are a limitless source of creation. 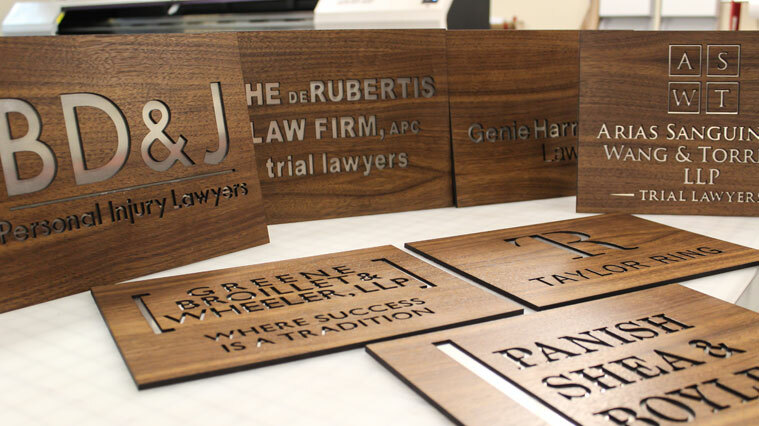 With a wide array of options, we create signs that enhance your brand culture and reinforce your style. 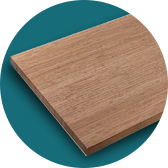 It is designed to match your company identity and spice up the atmosphere of your facility. Lobby Signs not only help boost brand identity but also serve other purposes, such as to guide and inform. 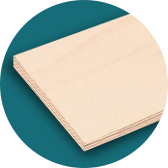 Here at Front Signs, our production resources allow us to craft signs with any material for your business requirements. We ensure that each sign accurately reflects the true representation of your business. 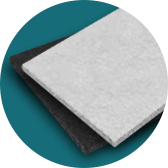 The diverse manufacturing techniques and materials help us create the most innovative and complex design solutions for interior branding. 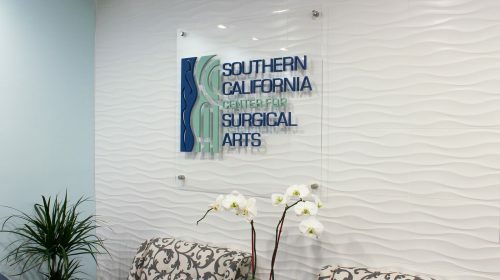 We create reception interior signage that exceeds your expectations. Empower your company brand with strong Lobby Signs. Creating a brand presence in any environment is very important for the success of the business. 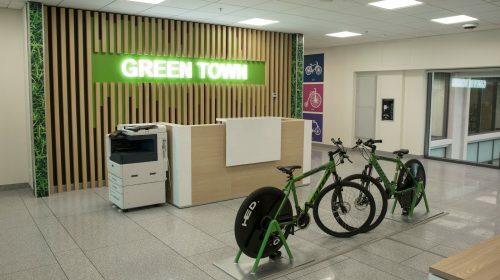 If the whole building belongs to one company, then often the logo of the company is displayed in the reception area. This is the perfect spot for the logo as it is the first thing people will notice entering the building. If the building has various companies in it, the logos are located next to the entrance door of the office. Some companies do not use this option thinking that it's not their cup of tea, but having your logo displayed in the lobby increases your chances to be noticed, so you should use that. If you need to immediately grab attention with your logo, then Illuminated Signs are what you need. You can get Illuminated Letters to depict the name of your company in the lobby. Another option for illuminated signs are Lightbox Signs. These energy efficient LED Illuminated Signs will catch everyone’s attention. 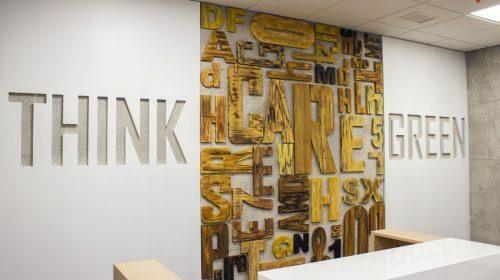 These bold letters are perfect for showcasing the name of your brand in the reception or next to the entrance to your office. 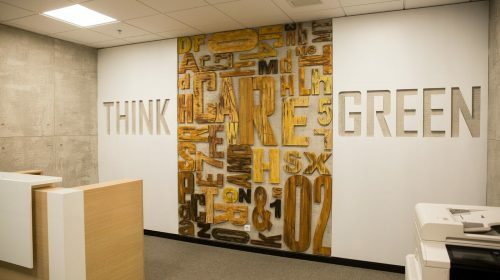 You can order dimensional letters made of a wide range of materials. 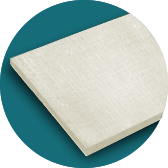 Such materials are: Aluminum, Wood, Acrylic, Foam Board, Gatorboard, PVC, Styrene and more. 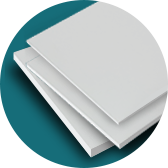 Another option for Logo Signs are flat signs with the printed logo. For these type of signs, you can get Signs made of PVC, Aluminum, Acrylic, Foam Board and many other materials. The choice is big. We will print the logo of your brand on one of these materials, which later will identify your brand in the lobby. When entering a building, you can find informative stand signs in the reception or in the lobby, next to the elevators. These signs are vital for every building, as these Signs help people to immediately get answers to their questions. These stands are used to contain fliers with various information concerning the services that the companies located in that building provide. 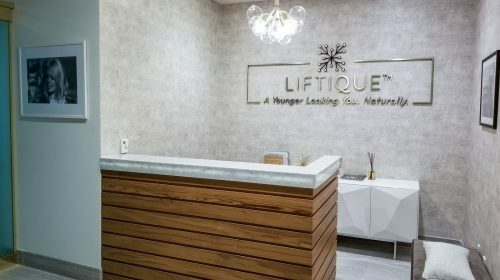 Informative Signs can be used in the lobbies of gyms, beauty salons, dentists office and many other places to showcase the awards and the accomplishments the company has. 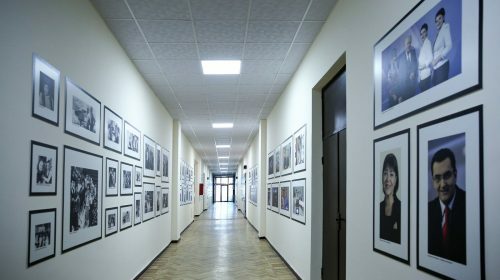 These Signs can also display the images of the CEOs and best staff members. Every lobby should have proper Safety Signs to provide the security of the people. These signs have various purposes, such as to warn, to provide instructions in case of emergency, to prohibit certain actions. Often you can see, emergency exit, electricity warning and many other types of Safety Signs in lobbies of hotels, hospitals, schools and in many other places. 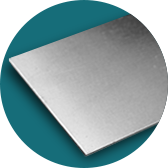 Safety Signs are mostly made of Aluminum, but they can be made of PVC, Styrene and other materials as well. You can get illuminated Safety Signs as well. Emergency exit signs should be visible in the dark as well, so in case of emergency people will easily find their way out. These are the type of signs that can be seen in any lobby, without which it would be very difficult to navigate in the building. These lobby signs have the following purposes: to direct and navigate people, to inform about a certain location. 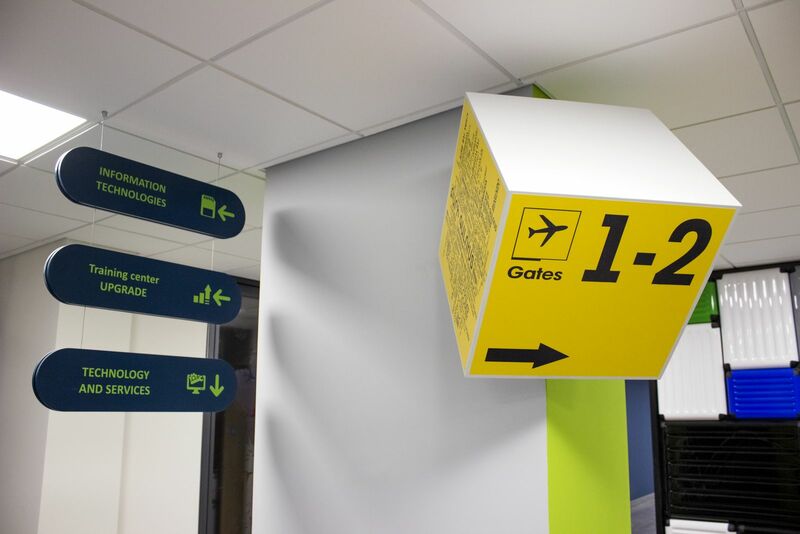 Wayfinding Signs can be made of a variety of materials, choose the one that suits best to your needs. These Signs can be seen in the reception area and in the lobbies across the building. 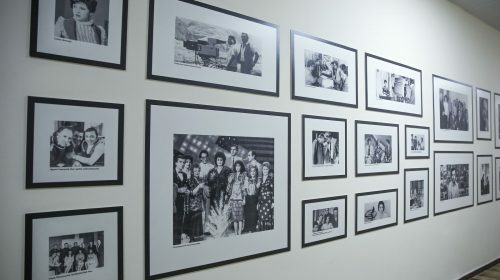 Perfect way to personalize your office space in the building. 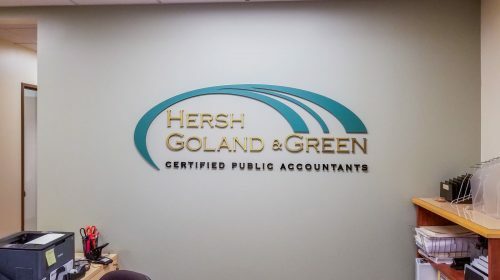 Nameplate Signs make people find your office easily. 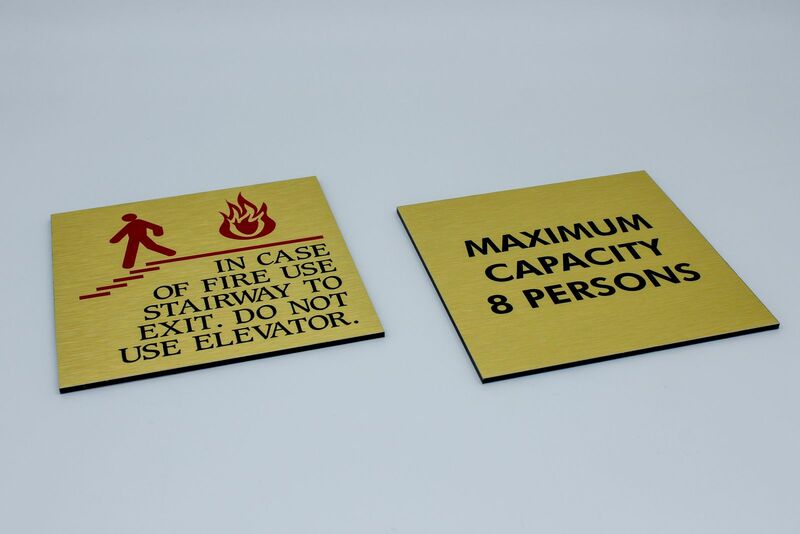 These Signs can be made of a number of materials, such as Wood, PVC, Acrylic, Aluminum, Gatorboard, etc. The name can be either printed on the sign or engraved, the choice is up to you. We can bring all your ideas to life, by making your desired Lobby Sign. 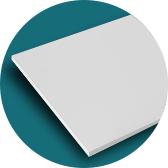 Nameplate Signs can also be changeable, so you can keep the sign but change the sheet of the name on the raceway. This is perfect for big companies with a lot of employees. Also, this is a cost-effective type of sign, as you do not have to get a new sign every time you have a new employee. These Signs help easily identify each room in the building. Door numbers are used in hotels, schools, offices and in many other establishments. 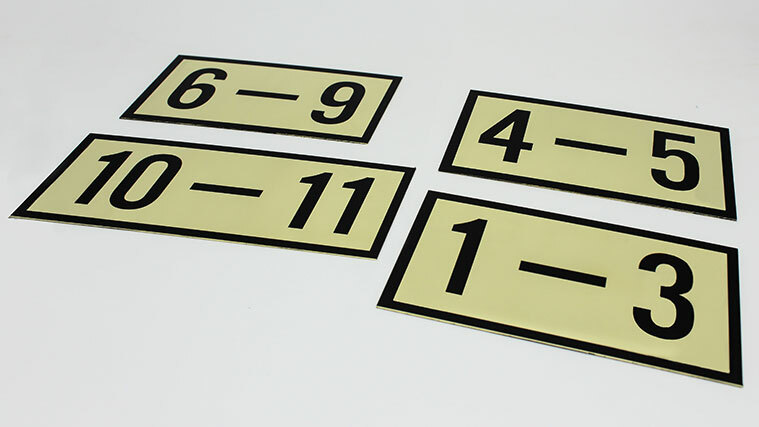 We offer Number Signs made of a variety of durable materials. You can get 3D numbers made of Aluminum, Dibond, Wood, PVC, etc. These bold numbers are easy to notice due to their dimensional look. Door Numbers can also be printed on various materials. These printed signs can be directly mounted on the door or next to the door. Printed number signs can also be fixed on the wall with standoffs which gives a more elegant and professional look. Numbers can also be engraved on Aluminum, Wood, etc. So, you get a wide selection of Door Number Signs, choose the one that feels right for you. You can order custom Signs with your personal design. 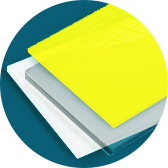 We use premium-quality UV curing and Digital printers for making our signs. The inks are dried with ultraviolet rays immediately after the printing process, which makes the inks sun and fade resistant. Thus, the printing will maintain its primary look for a long period. 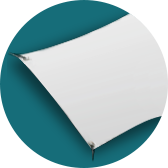 We offer Lobby Signs in your desired shapes and sizes. 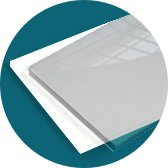 To achieve this we use accurate cutting machines, such as CNC Miller, Laser and Digital Cutters. These cutters allow us to make signs in any possible shape. 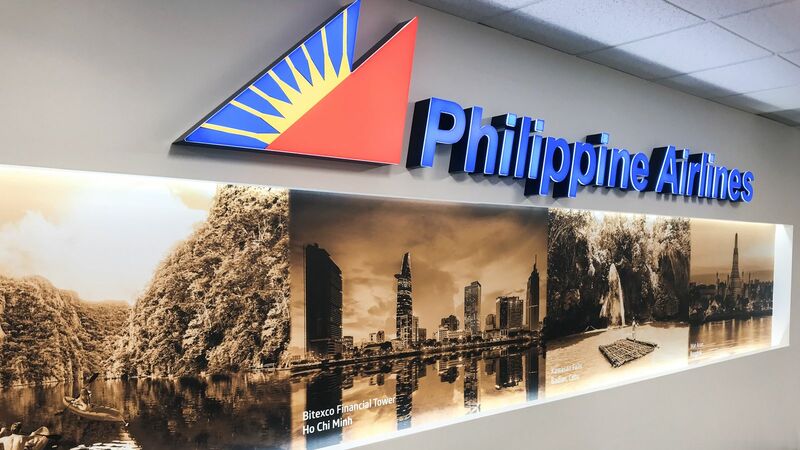 The installation of Lobby Signs depends on the type of the Sign, as various signs require different installation options. 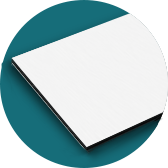 Signs can be directly wall mounted to the wall or fixed with elegant standoffs. Some Signs can be installed on special constructions. Front Signs offers installation services, our crew of professional craftsmen are ready to provide you with a quick and smooth installation. 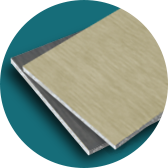 Usually, we don’t work with only one material when offering interior branding solutions. 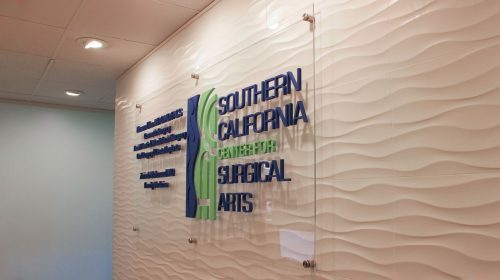 We create lobby signs from mixed and trendy combinations of materials to achieve the desired reflection of your brand and style. You can choose the materials or our professional designers will assist in this process to reach our mutual goal – which creates one magnificent, harmonious interior to fall in love with. 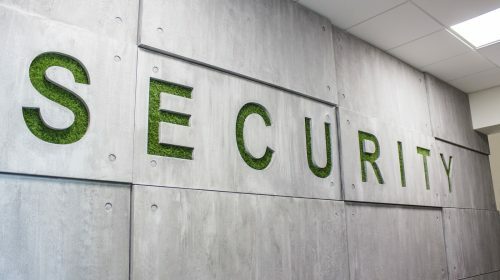 For example, we can combine wall decals, 3D wooden letters and PVC accent wall to create a dynamic and modern interior for IT companies and alike. 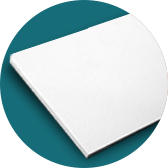 OR use Aluminum sign to convey the image of loyalty and trust and acrylic plaques or prints to create a stable but elegant interior for professional establishments and so on and so forth. Lobby sign is the collective name for interior branding signage of the reception area. 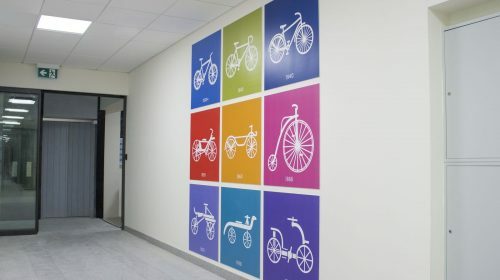 The signage can be fabricated from materials and combinations of materials to best depict the company brand and style. 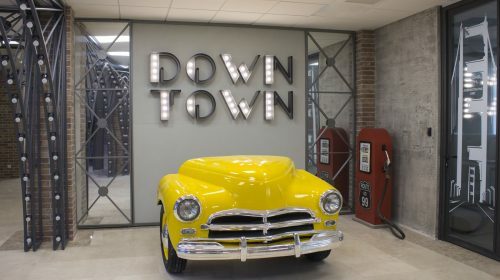 Lobby interior signs are the key indicator of your organization personality and professionalism.